What are the latest Deck and Porch Accessory Trends in 2017 for N. VA? 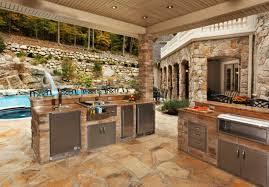 Integrate your Outdoor Living Space with the Main Part of your Home! Outdoor Lighting – Provides both beauty and purpose for your deck, porch, and/or landscaping. Outdoor lighting extends the usable hours of your outdoor living space and also provides safety. While you are having the electrical work done, why not add an audio system, too? 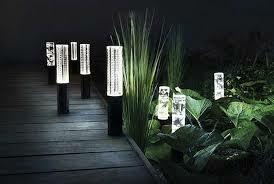 Outdoor lighting packages include choices for pathlights, landscape accent lighting, and deck and rail light fixtures. The Lighting Showplace https://www.lightingshowplace.com/ carries wall lights, ceiling lights, hanging lights, and post lights. Trex http://www.trex.com/ and Coastal Source http://www.coastalsource.com/ have many excellent outdoor lighting options, and Coastal Source can combine an audio system with your lighting package – all managed through an app! Outdoor Kitchen and Cabinetry – Add stainless steel cabinetry to your grill(s) and outdoor bar and turn your patio into a fully -functional extension of your home. Danver http://danver.com/ Cabinets partnered with Brown Jordan http://www.brownjordan.com/ is a premiere option. They carry stainless steel and painted kitchen cabinets that can be powder coated to suit your upscale theme. Ceiling Fans – Extend the seasonal use of your outdoor space by adding ceiling fans. There are almost endless varieties of styles to chose from so that you can add your personal touch to the cool breeze provided. Https://houzz.com provides information pertaining to the following questions to help you chose the fan that is just right for you, and they have almost 8000 to chose from! 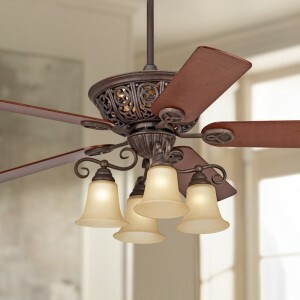 What style of ceiling fan should I get? How can I tell if my ceiling fan is well constructed? Are energy efficient ceiling fans worth the extra cost? How are different ceiling fans installed? 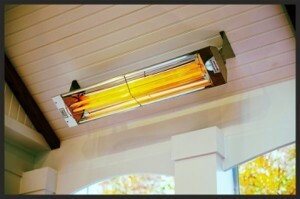 Heaters – Extend the use of your outdoor space into the cooler seasons, too by installing heaters. Advances in technology are allowing for not only the provision of extra warmth when needed, but also attractive designs and colors to enhance the appeal of your outdoor living space. Infratech http://infratech-usa.com/ Infrared Heaters carries attractive options powder coated in a variety of colors as well as the common standard colors, including stainless steel.